Jesse has updated our trail map for Page Hill to include this years work. A few of these trails need some finish work but they can all technically be ridden now. 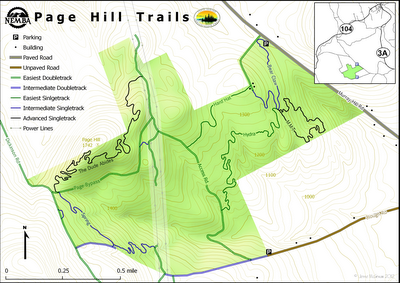 We are up to about 8mi of trails and you can now get a nice loop in with a decent amount of vert. We'll be looking to rotate this into our group rides more often next year.